Lock in a great price for Naledi Bushlodge – rated 9.7 by recent guests! Everything perfect. Beautiful property with the nicest staff! It can’t get better than Naledi! 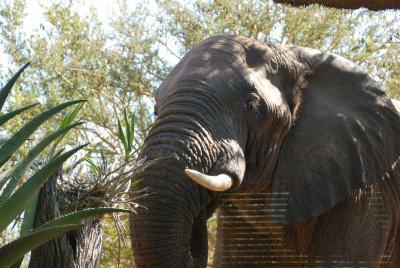 We saw the big 5 while staying at the best place we’ve ever been. It was incredible. Kjell and his staff went out of their way to give us the experience of a lifetime. 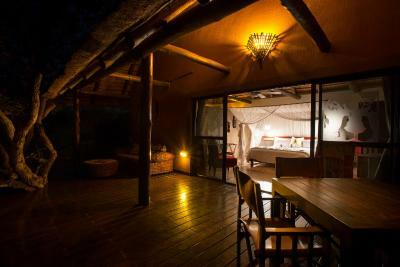 Private dinners, plenty game encounters, knowledgeable and entertaining staff. The best hospitality we have ever come across. 10/10 more than deserved. We stayed in the rockfig cabin. 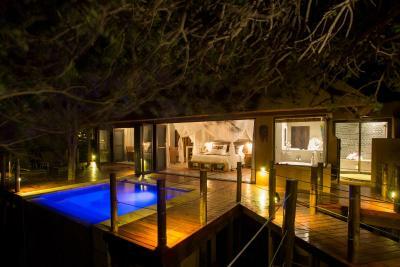 Huge bed, private pool, treehouse, sundeck, in- and outdoor shower, view on the bush, animals - it just doesn’t stop. Good wi-fi too. Every meal was a gourmet creation that tasty, creative and filling. The chefs really know how to please the palate. Every meal was presented by the chef of the day who took the time detail every course of the meal so that we knew what was coming. 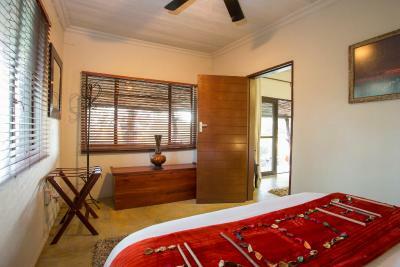 Large luxurious rooms overlooking the river. 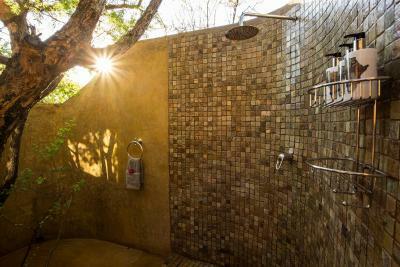 Both indoor and outdoor showers. Great guide (John) and Long game drives allowing us to see lions, rhino, elephants, giraffes, zebra, etc. wonderful outdoor terrace for meals and relaxing. Friendly staff. The food was delicious and they catered to all our dietary needs! They even made diabetic friendly desserts for my husband which were delicious! 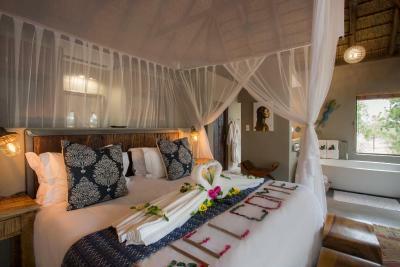 Everything about Naledi met our expectations and beyond. Wendy, Marcus and the entire staff at Naledi were incredible and our amazing game drivers took us through deep bush to allow us to see lions, leopard. black rhinos..... We learned so much from them and their knowledge of birds, animals and plants. 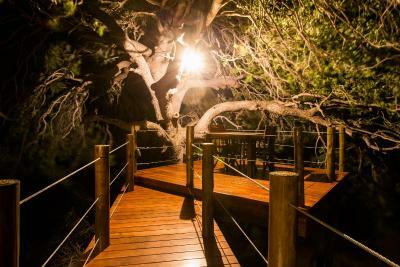 Don't miss doing the bush walk where you get a chance to see and learn about the smaller things in the bush. The food was so delicious, unique and beautifully presented. My son and I would 100% recommend coming to stay here! Everything. 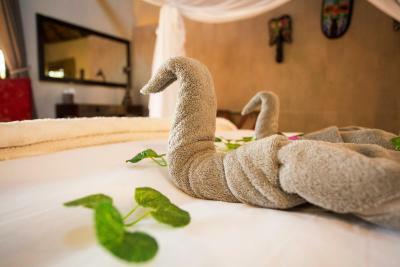 Good location, great service, clever helpful staff and amazing property. If you have the option.. Choose "excellent" to be your safari driver.. He is an amazing hilarious human. The staff were fantastic, friendly and couldn't be more helpful. Thanks very much to Shad, Lilian, Petronella and Excellent. Timing of game drives was great. 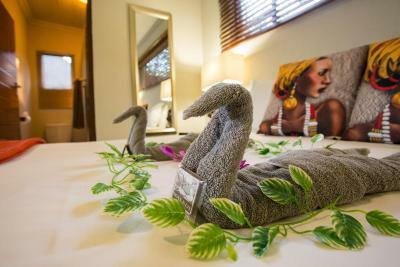 The hotel’s infrastructure, the place is beautiful, very confortable and cleaned. The food is owesome! And the staff is amazing! 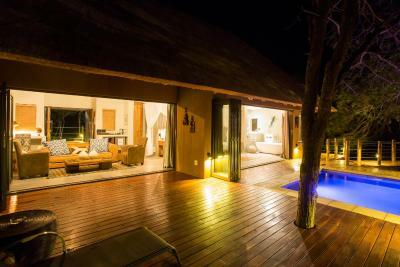 The Lodge exceed my expectations! 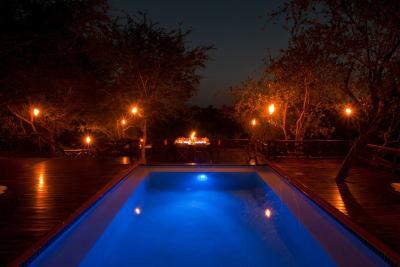 Naledi Game Lodge lies within the Balule Private Nature Reserve and is located 16 mi from Hoedspruit. 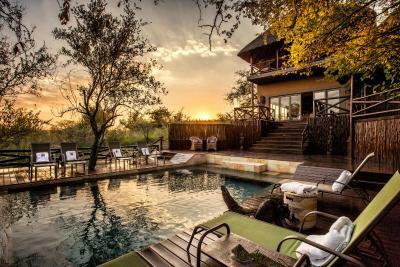 It features panoramic views of the African Savannah and features an outdoor swimming pool, restaurant and bar. 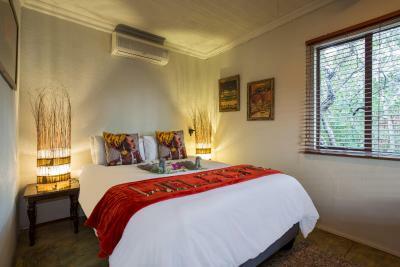 The lodge consists of Bushlodge, the units feature views of the, pool or mountain. Each air-conditioned unit is fitted with a safe, fan and tea-and-coffee-making facilities. 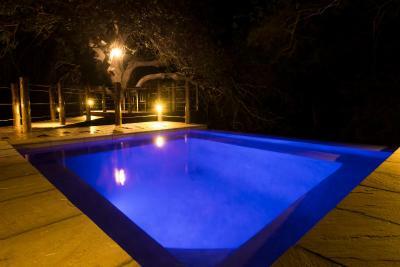 Some units have a seating area and private pool. 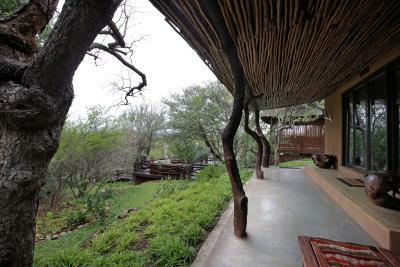 Naledi restaurant serves breakfast, lunch and dinner. It offers a variety of cuisines consisting of of fresh ingredients. 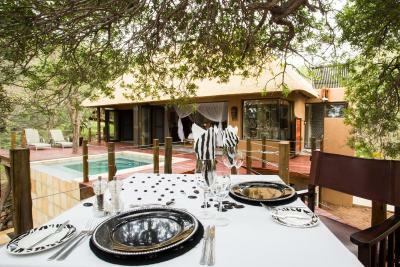 Guests can enjoy a drink at the bar or relax on the terrace overlooking the swimming pool. 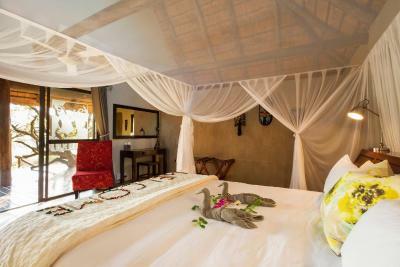 Activities include game drives and bird watching. Free WiFi is available and an airport shuttle can be arranged upon request. 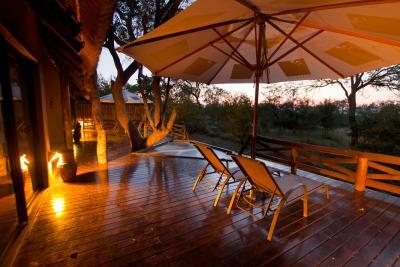 The Kruger National Park’s Phalaborwa gate is 43 mi away and Drakensig golf course is within 17 mi. 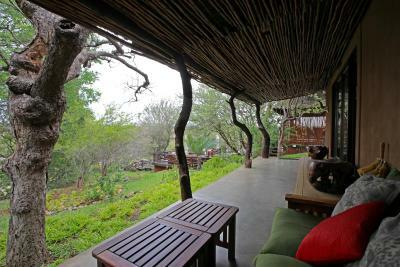 This property is also rated for the best value in Balule Game Reserve! Guests are getting more for their money when compared to other properties in this city. 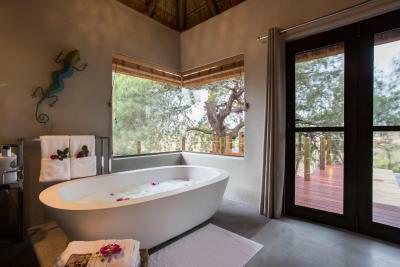 When would you like to stay at Naledi Bushlodge? 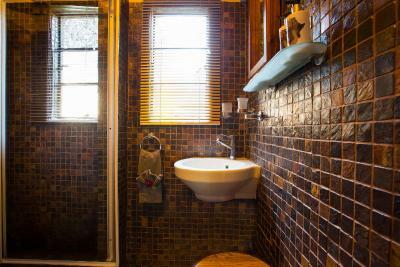 Known as the Paperbark unit, this more spacious, air-conditioned chalet is located at the Bush camp and features a patio with views of the mountain and garden. 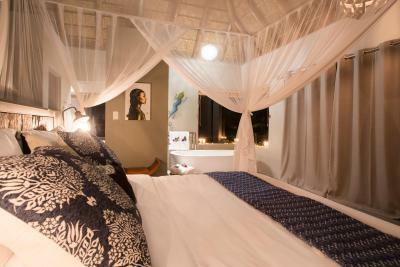 It is equipped with a mosquito net, seating area, bar fridge and tea-and-coffee-making facilities. 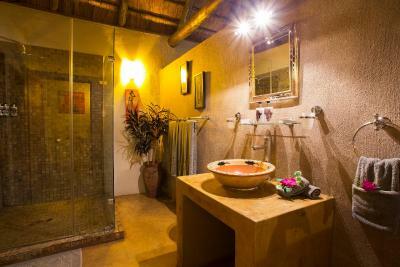 The private bathroom has an indoor and outdoor shower. 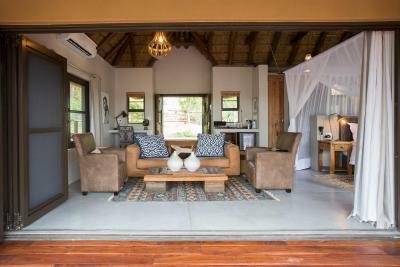 Known as the Leadwood House (A & B), this extra spacious, air-conditioned chalet is located at the Bush camp. 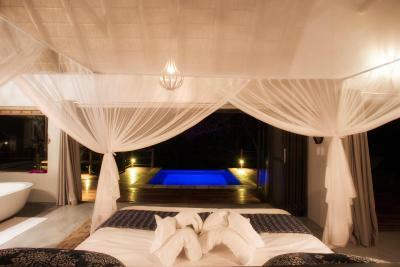 It features a private splash pool and patio with sun loungers which offers views of the mountain and waterhole. 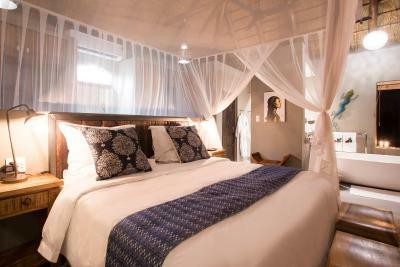 It is equipped with a mosquito net, spacious living room and mini-bar. 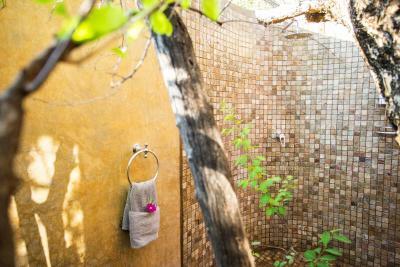 Each private bathroom comes with a shower and bathrobe. 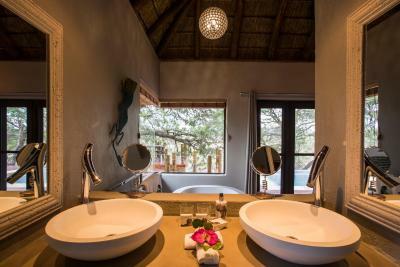 Please note that the price is based on single or double occupancy. Maximum occupancy is 4 (see Hotel Policies). 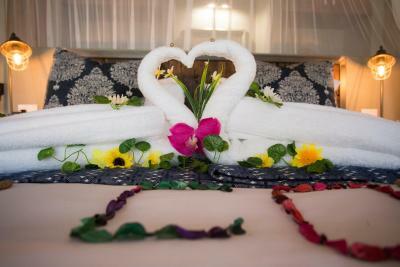 The extra person rates vary according to the season and may be lower than indicated in the policies. 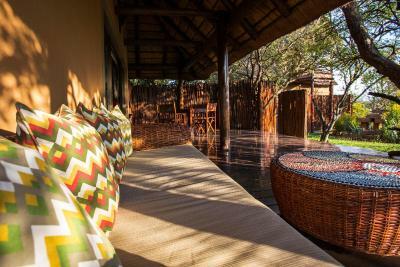 Known as Marula Suite, this air-conditioned chalet is located at the Bush camp and features 2 adjoining bedrooms, an private bathroom, and a private patio. 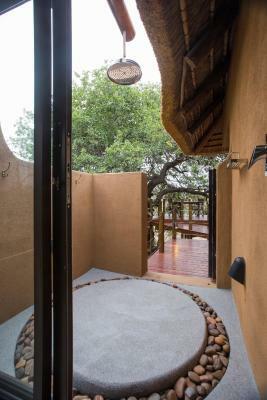 The unit has views of the valley towards a waterhole. 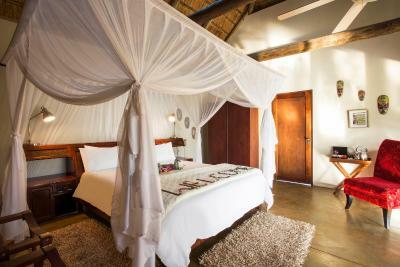 House Rules Naledi Bushlodge takes special requests – add in the next step! 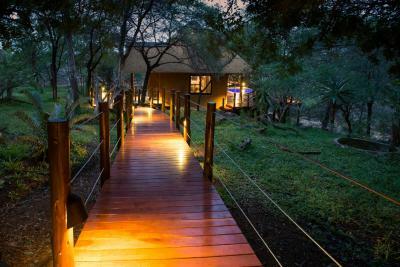 Naledi Bushlodge accepts these cards and reserves the right to temporarily hold an amount prior to arrival. 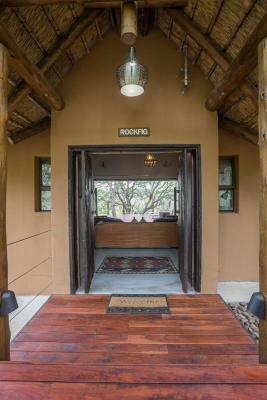 Please inform Naledi Bushlodge of your expected arrival time in advance. You can use the Special Requests box when booking, or contact the property directly using the contact details in your confirmation. I wished we had more than one option for the food. Food was usually amazing but sometimes you don't like the entre or main dish made and there's no other options. 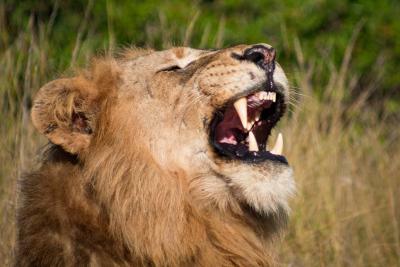 Sorry to say that although Oupa was clearly a very knowledgeable guide on the game drives, he let's himself down by trying to be a comedian ALL the time which became very tiresome very quickly. Apart from getting everything else right, this one thing would stop me from coming back again. The drives were disappointing and although this was in part due to the weather (which I realise is out of anyone's control) I have two other things that I found detracted which are very much under the guides control. 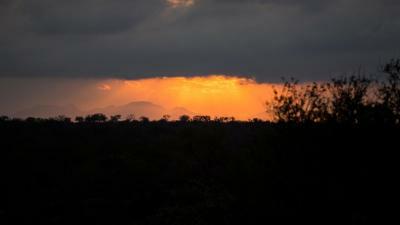 Firstly we spent about 30 minutes of the evening drive on a park road that ran alongside the busy R40 that runs up to Phalaborwa and then we stopped for drinks on a hill overlooking the Oliphants River and an amazing sunset. Unfortunately it also overlooked the 3 Bridges Restaurant and the busy R40. 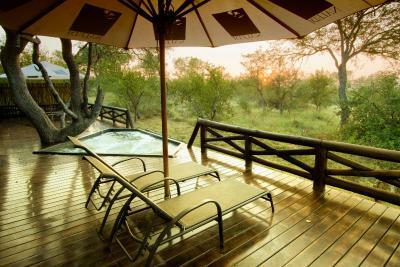 When I come to the bush I really want to feel properly in the bush. The other issue was one that I have experienced elsewhere but can really spoil a drive. That is when the guide decides what he plans to show you and then will not give up. We spent over 2 hours going around and around a block to look for lions based on the tracks discovered. Given the size of the block if a clear idea cannot be obtained as to the whereabouts of the animal being sought then I do feel that after 30-40 minutes a revised plan and new path should be taken to maximise the potential viewing. Finally the camp is building and refurbishing rooms (they will be even more spectacular than the existing standards - PK took us on a tour of the nearly finished new suite) they do need to find a way to balance the need to do this work so that it does not disturb the guests (who are mostly out of the camp for 5-7 hours a day on drives after all). Although when I mentioned that the sanding noise that had been going for 2.5 hours was spoiling the day they immediately downed tools and apologised. 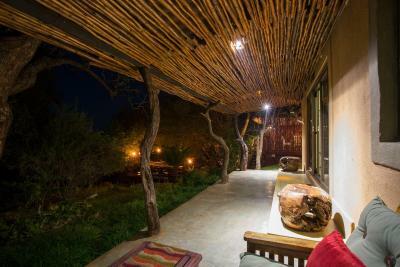 The lodge is beautiful but we were only there for 1 night and so could not take them up on the bush walk or visit to the hide that are offered to guests between the morning and afternoon game drives. The food was very good and the staff were wonderful (well done on the evening singing and dancing before our traditional dinner in the Boma). 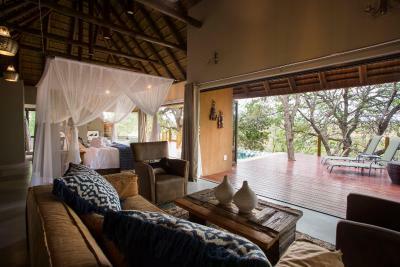 Our room was spectacular with a private balcony and we sat on the afternoon we arrived in our private space watching the kudu amble by. I can honestly say that I could not find anything about this vacation spot that I did not like. The staff made every effort to make sure we had the best time possible. My wife and I left there feeling as though we were leaving a second family behind, that is how much they welcomed us and made us feel right at home. Our tracker, Jimmy, and guide, Vuyani (sorry if I spelled it wrong!) were both exceptional. 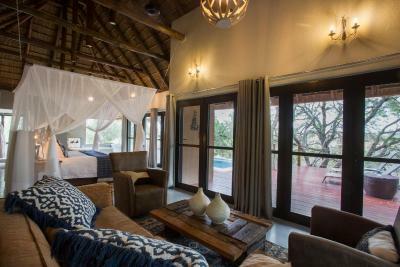 The rooms were clean, the beds comfy, and the property itself was beautiful. 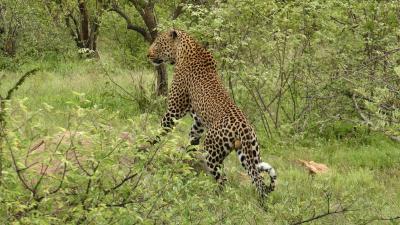 We loved our game drives and the enthusiasm of our guide and tracker. 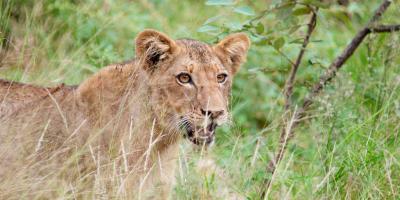 They even found all of the Big 5 for us! Lillian was also wonderful and always smiling and helpful. The chefs cooked great meals and were proud, but humble of the meals they had prepared. We even got to try kudu and springbok. What a special experience for my husband and I and we would definitely come back if we get the chance! 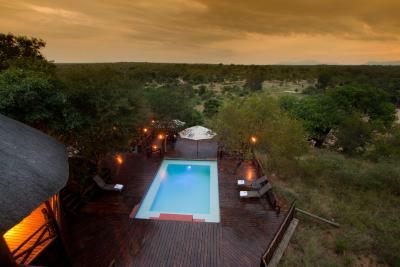 The hotel is really good, but there were no animals at the reserve. They keep saying “that’s no our land, so we can’t go there”. Food was really good! Staff very kind. Love the place! Staff served goat cheese on a salad to my daughter, even after detailed discussion upon arrival re my daughter’s food allergies. If she had eaten, she would have gone into shock, far from any medical facilities. Also, staff did not collect and do laundry for one of our rooms. 1. When we arrived at the private reserve they wanted to charge us of a conservation fee that we have already paid in advance. They let it go only because I had the invoice printed with me, otherwise we would have to pay twice 2. 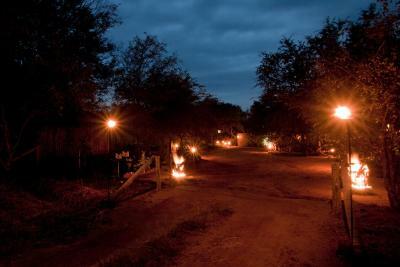 It was included in the fare 2 game drives per day (that includes the driver – ranger and the tracker who looks for the animal’s footsteps) and a bush walk. Half of our stay we had to do the game drive without the tracker because he decided to leave and the hotel didn’t have anyone to replace it. We had to insist to have a tracker on the other half of our stay and was totally worth it! It really makes a difference to find the animals. Our ranger also decided to leave so we didn’t have the chance to choose to do the bush walk and had to stay in a hiding that we do not recommend – it is hot and you stay there for 2 hours and don´t see anything We think that the guests can’t be harmed if something happens to a driver or a tracker… they should have a plan B considering the price of the hotel.